Corals For Sale | Live and Beginner Corals | Buy Now At somethingFISHY! Are you interested in starting your first reef aquarium? Are you an advanced reef keeper looking for rare and challenging coral? Whether you’re looking for hard corals or easy soft corals, somethingFISHY, is proud to offer the best selection of coral in Orlando. 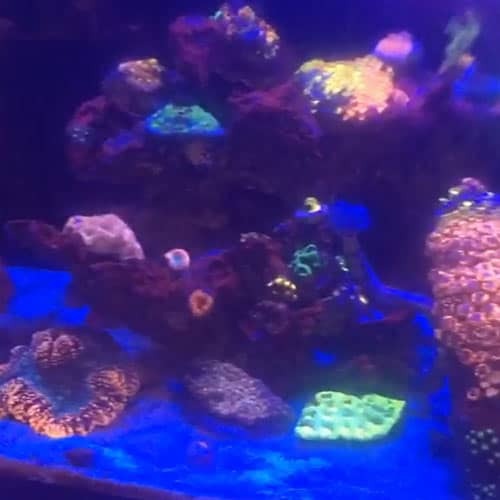 These are some of the live coral for sale in our store. We have an amazing selection of corals and also have an online auction. We are currently growing over 100 different varieties and offer a wide selection of corals each week to our clients. We hand-select and quarantine all saltwater coral to ensure superb quality, color and health. It is very important for us to only sell Mari-cultured coral in an effort to reduce pressure on coral reefs in the ocean. Coral reefs of the world are incredible international treasures. Reefs cover less than 1 percent of the ocean floor but support about 25 percent of marine life. However, reefs around the world are declining due to climate change, pollution, coral disease, habitat loss, over-harvesting and other stressors. Visit somethingFISHY today if you are looking to buy any type of beginner or rare coral. You won’t be disappointed.